In recent months, the Office of Liturgy has received a number questions concerning the successive celebrations of the Feast of the Holy Family and the Solemnity of Mary, Mother of God on Sunday, December 31, 2017 and Monday, January 1, 2018, respectively. Specifically, it has been asked which Mass should be celebrated on the evening of December 31, keeping in mind that the celebration of solemnities normally begins with the evening of the preceding day? 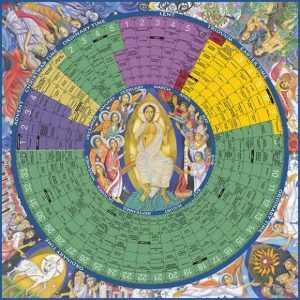 In answering this and similar questions, one should first consider the following principle established by the 1969 General Norms for the Liturgical Year and Calendar: “If several celebrations fall on the same day, the one that holds the highest rank according to the preceding Table of Liturgical Days is observed” (60). Taking this into account, it might seem at first that evening Masses on December 31, 2017 should celebrate the Solemnity of Mary, Mother of God, considering that Solemnities of the Blessed Virgin Mary appear higher than Feasts of the Lord on the Table of Liturgical Days. However, another lesser-known norm promulgated by the Sacred Congregation for Divine Worship must also be borne in mind. In 1984, the Congregation offered the following additional guidance on this issue: “In the celebration of Mass, precedence is always to be given (“præcedentia semper danda est”) to the feast of precept [holy day of obligation], regardless of the ranks of the two consecutive feasts….” This rule appears to have been established as a way of serving the pastoral needs of the faithful who attend evening Masses and expect to celebrate the Sunday liturgy, thus fulfilling their obligation. A related issue concerns the fulfillment of one’s obligation to attend Mass on consecutive feast days, and whether a person can satisfy both obligations by attending Mass on the evening of the first day. Clergy and other parish staff may find themselves asked this very question in the coming months as it relates to the successive celebrations of the Fourth Sunday of Advent and Christmas on Sunday and Monday in 2017. In a recent statement on this topic, the USSCB’s Secretariat of Divine Worship noted that, in such cases, the prevailing view of a majority canon lawyers is that each day of obligation must be fulfilled with a separate Mass. Read more in our September newsletter.